Negras con rayas blancas o blancas con rayas negras; el parque tiene ambas especies de cebras. 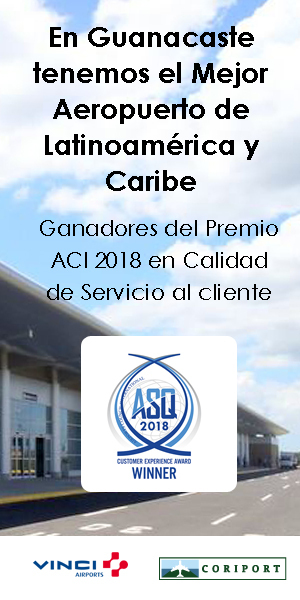 Adivine cuál es cuál. Just 11 kilometers from the center of Liberia, África Safari Adventure Park offers a retreat among the natural and the wild. 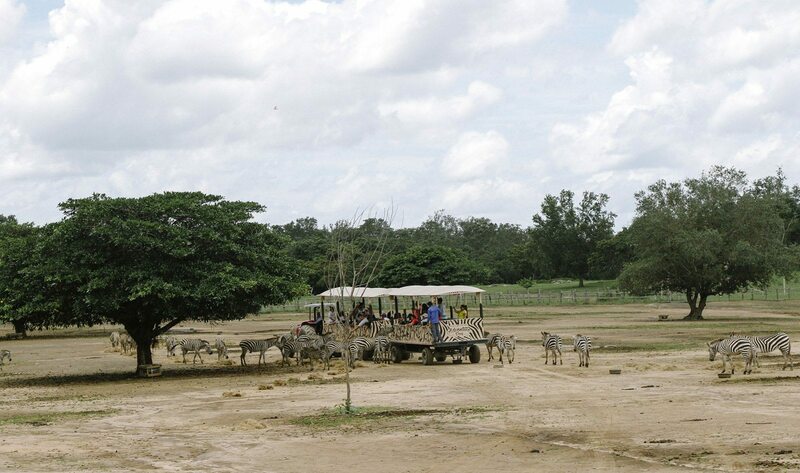 Visitors can see from up close giraffes, zebras, ostriches, gnus, oryx, dromedaries, deer and Ankole-Watusi cattle, which live in the first 100 hectares of the park. After the African safari, extend the day on 400 hectares more of trails, waterfalls, kayaks, canopy tours, climbs and ATV treks. In the past two years, the only African safari on Tico land has changed: The name has changed, as well as the owner, the size of the park, the number of attractions and the price. The park originally was called África Mía when it was owned by businessman Mario Sotela. In 2014, the property passed to David Patey, from the U.S., who also owns Club Sport Herediano. 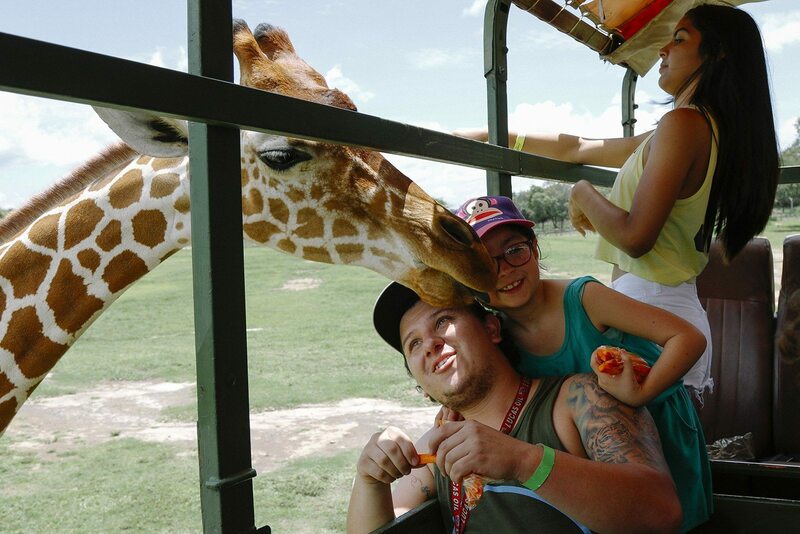 “With the change of ownership, we tried to respect the theme of Africa, as it already was positioned in the national market, and it was named África Safari Adventure Park,” said Rodrigo Soto, the tourist center’s marketing manager. Entry to the safari area costs about ₡18,000 ($33) for adults and ₡15,000 ($27.50) for minors. “We’ve talked about the fact that the previous owner charged on average about ₡45,000 ($82.50) for about a third of the tour you can now take in the park. The price has dropped substantially,” Soto said. Visitors can document their safari trips with all cameras on hand. Animals approach the vehicles hoping for carrot snacks happily provided by tourists. The visits are guided, with general information about species that inhabit the property. Most tourists who visit the park are from Costa Rica. 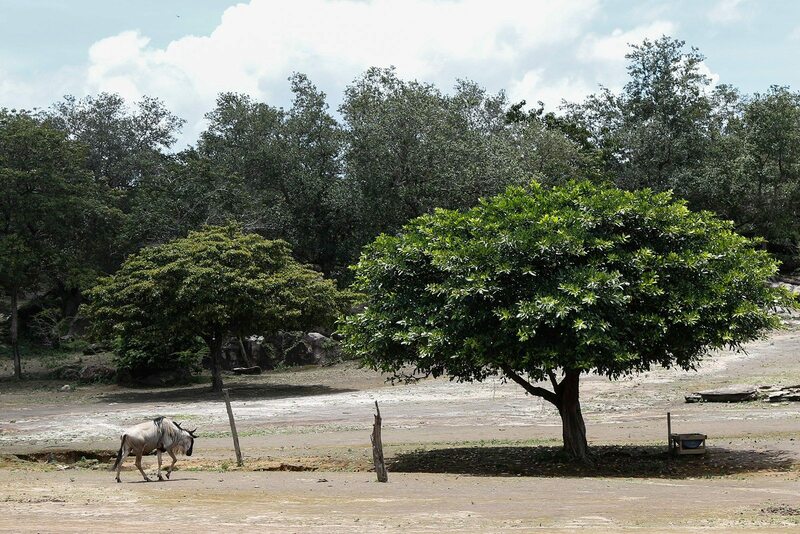 “Particularly in San José and the Grand Metropolitan Area, people want to see the animals. We have about 60 zebras and nine giraffes. … Since there is the possibility for contact (with the animals), people want to live that experience,” said Soto, who acknowledged that the park hopes to attract more foreign tourists. Visitors enjoy the safari in open vehicles accompanied by professional photographers who document each visit. At the end of the tour, the photographs can be purchased. Here there are no walls to obstruct visits. 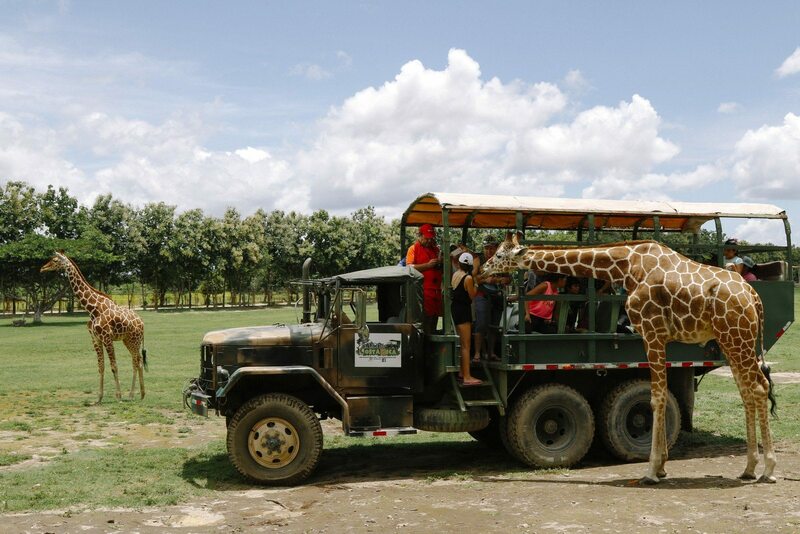 Guests enter directly onto the animals’ territory in open trucks, which remain parked for several minutes in each area to appreciate the details of each species. The only areas restricted to the public are the ostrich nests and areas dedicated to pregnant female species. After the safari animal tour, tourists can enjoy canopy tours, kayaking, visits to waterfalls, rides on ATVs, trails, mountain climbing and rappelling for the rest of the day. The cost of each visit depends on activities selected. For example, the Guanapack tour package includes two activities and lunch for ₡38,600 ($71) for adults. Since the change in administration, the park is migrating toward the concept of broader entertainment, which will be called Ponderosa Adventure Park. “Here next to (the safari) we acquired a large property called La Ponderosa estate. The safari will be one of the many attractions in all of the project,” Soto said, while standing next to the pool areas that soon will be available for visitors. The property also will be populated with more animals. One of the park’s new attractions will be “King Croc,” a lagoon with 50 crocodiles that can be viewed during an educational tour. “In the future, it’s likely that we’ll focus more on national animals. Curiously, the national visitor is very interested in native animals,” Soto said. The Sotela house in La Ponderosa formerly was the site of a country club with tennis courts and swimming pools. Another part of the tourist project will be Ponderosa City, which will have a living area, an educational center and representation of the ancient Guanacastecan people. Construction of this area is expected to be finished in three years, but the country club is currently operating. Reservations for tours at the África Safari Adventure Park should be made in advance by calling the tourist center at: 2288-1000. Information on tour packages can be found at the center’s website: http://www.africasafaricostarica.com.